Long isolated from the rest of the world, the kingdom of Nepal – “the last name of mystery”- is a sportsman from all over the world. Owing to its geographical position, Nepal experiences an unusual number of variations in climate and geological features, with a consequent abundance of different flora and fauna. It is, therefore the natural habitat of many species that can be hunted. The breath-taking Himalayas of Nepal offer some of the finest high mountain hunting in the world. Bharal or Blue sheep can be hunted in the high mountains, while Himalayan thar, barking deer and leopard in the mid-mountains. 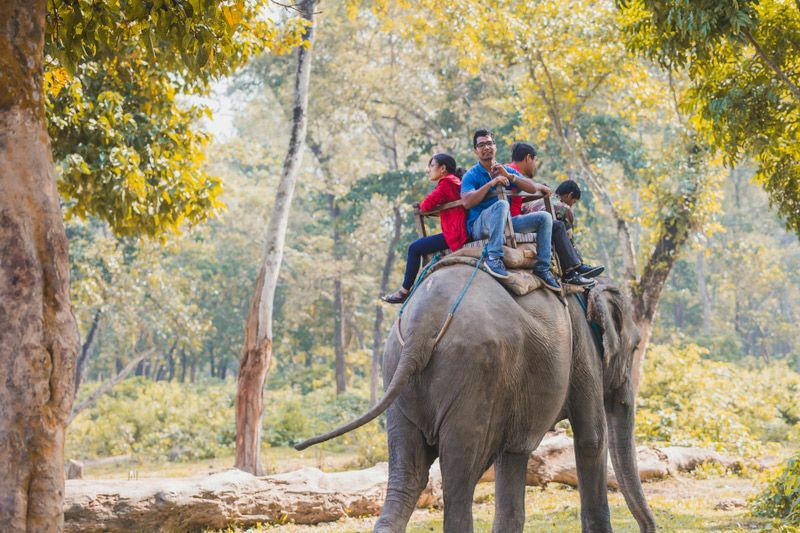 Spotted deer, barking deer, hog deer and wild boar can be hunted in the Terai or the lowlands from the backs of well trained elephants. Day 01: Arrival Nepal Arrive at Kathmandu, Airport, you are welcomed by the hospitable meeting and then you will be transferred to your hotel. Our guide will explain briefly the program upon arrival at Hotel. O/N at Hotel. Day 02: Kathmandu Free, preparation for trip Visit cultural world heritage sites: Pashpatinath Temple, Boudhanath Stupa, Kathmandu Durbar Square & Shyambhunath Stupa. O/N at Hotel. Day 03: Kathmandu to Dhorpatan 6-7 Am Chartered Fly to Dhorpatan , near Park head Quarters , it will takes 1.45 miniute. After arriving there, meet local hunting Guide, Supporting Staff, Department of National Park liaison Officers. Get ideas about animal's local atmosphere. Day 04-17: Hunting Period There are six separate hunting blocks and this block must be booked in advance to avoid different party at same time. After getting the Confirmation from Clients, then block can be reserved. At least we have to plan a week hunting period for one person, but more than one person need longer time. At once we can maximum operate 4 peoples. Hunting Blocks 01 Seng Bloch( For Naur & Jharal) 02 Sundaha Block(For Naur & Jharal) 03 Dogadhi Block (For Naur & Jharal) 04 Barse Block (For Naur & Jharal) 05 Fagune Block (For Naur & Jharal) 06 Gutsang Block (For Naur & Jharal) 07 Surtibang Block ( Jharal ) only Day 18: Dhorpatan - Kathmandu Fly back to Kathmandu by Helicopter. O/N at Hotel. Day 19: Kathmandu Documents preparation. O/N at Hotel. Day 20: Departures Transfer to airport to connect onward flight. Government license holder English speaking Hunting guide.